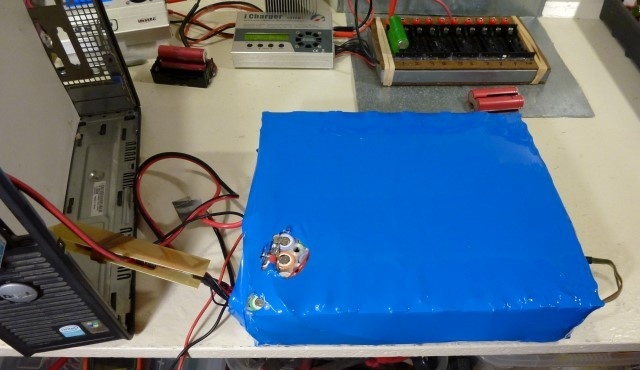 I'm building a new battery pack for the go-kart using old laptop batteries. Here it is all soldered up with power and balance leads. I've got it plugged in to my iCharger to balance charge the whole pack at 2 Amps - which is nice and slow for it's first time charge. It might take a couple of days to finish. 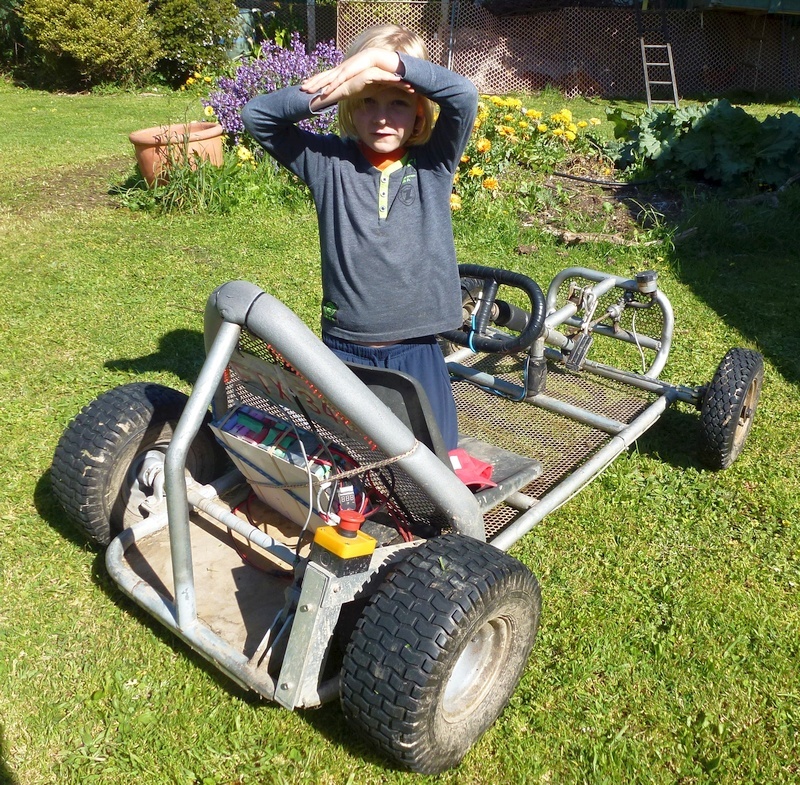 I (or more likely my son) should be able to take it for a good test drive in the go-kart this weekend. 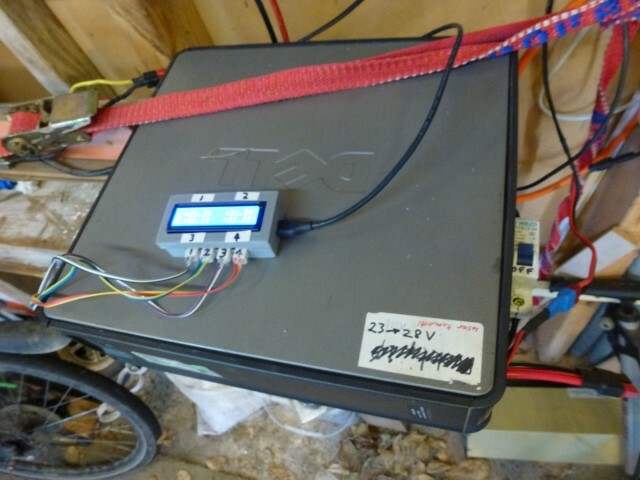 I've got a 30 Amp BMS (Battery Management System) board on order. 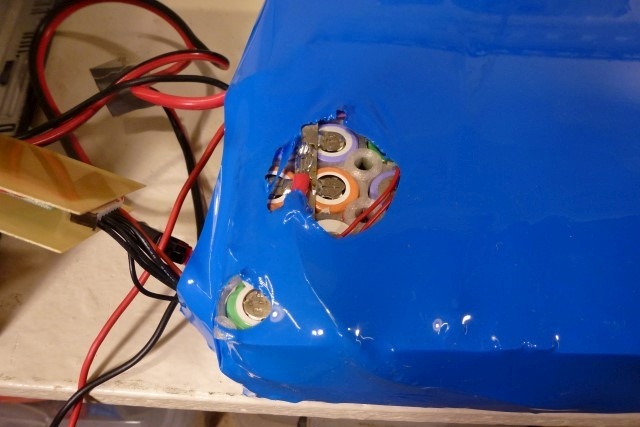 Here's the battery pack bungeed on to the back of the go-kart. Adam is ready for the first test run. Initial testing seems promising. More testing once I've added the BMS. 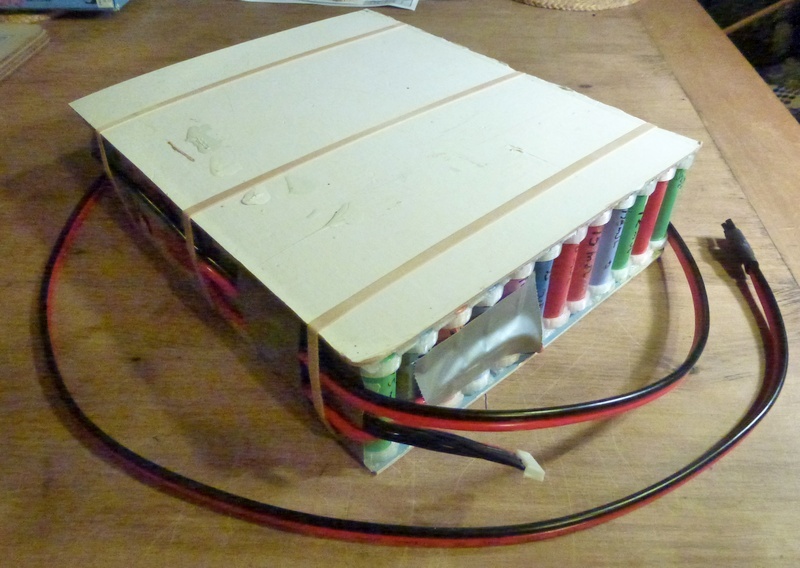 after 3 test sessions with kids the voltage is still over 27 v and has not sagged below 27.03 v.
Looking good for a full day of use at the upcoming school fair. I took the go-kart to the Randwick School Fair this morning and sold "$1 for 2 minute" rides. It was going constantly from 9am to a little after 12 noon. I raised about $60. The kids love the surge of acceleration and the adults appreciate the low running speed. It ran well all morning. 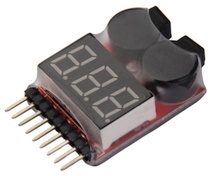 The individual cells ended at; 3.66 V, 3.66 V, 3.66 V, 3.73 V, 3.76 V, 3.68 V, 2.71 V, total 25.9 V according to my cheap cell monitor. I'm now recharging it and we'll see how many Ahr go into it. Recharged with iCharger at 3A in balance mode. Ran the go-kart at the Moera Christmas Party for 2 hours of free rides. 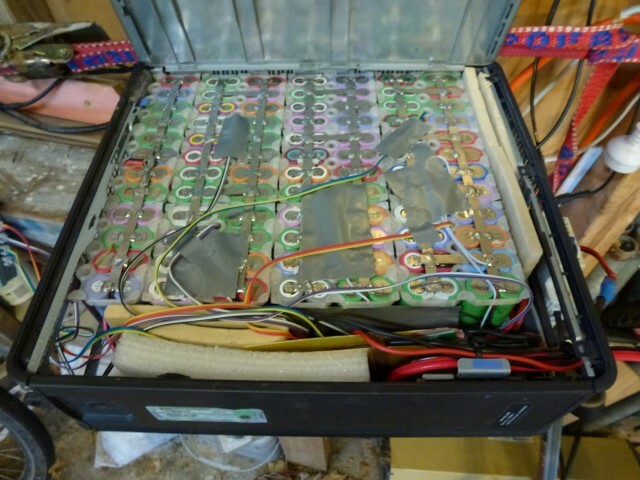 I've packaged the battery inside a small Dell Optiplex GX520 desktop box. 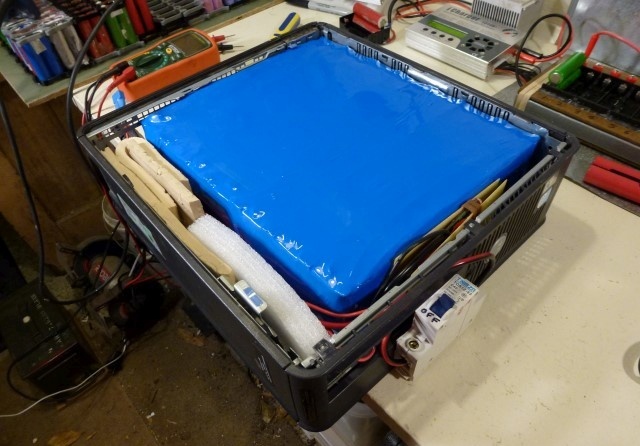 It's just the right size for the batteries plus BMS. I stucking on a 40Amp breaker switch too. 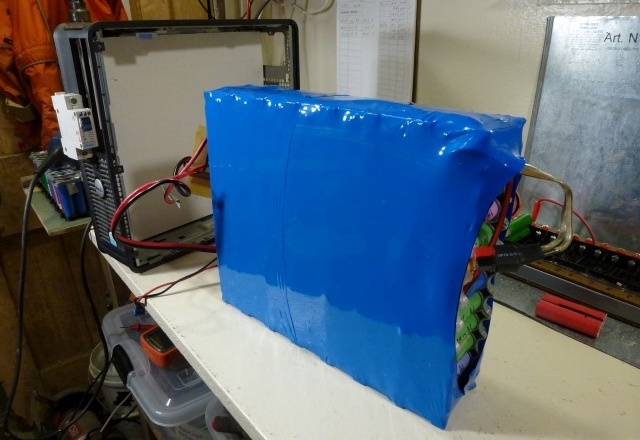 This makes it a much more robust battery. 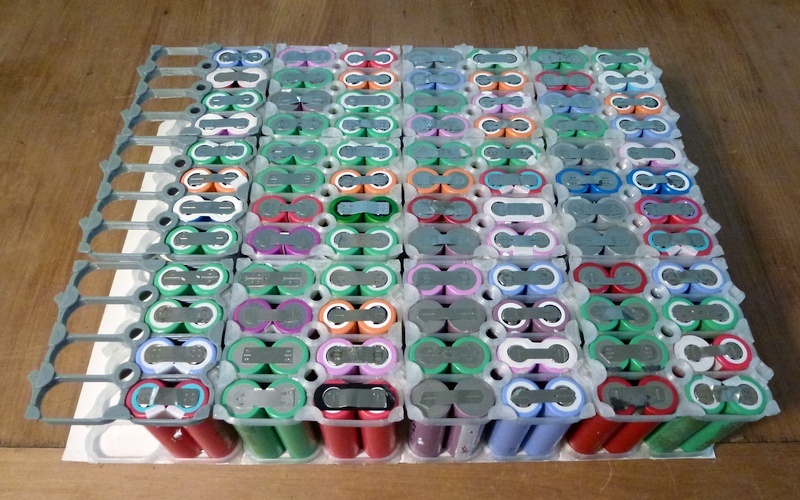 It also means if I build several of these batteries I can stack them reasonably neatly. I'm not sure yet how best to attach the breaker switch. The small screen on the top is a 4 way temperature sensor. I'm keeping an eye on the battery temp to look for variations. It all seems fine so far. This is useful to keep thinks from shorting the cells. I've left the ends open to retain some airflow. I got a 2 meter roll. I made the usual beginners mistake of overheating the think heat-shrink with my heat gun. This heat shrink is only 0.15 mm thick so it's very easy to over heat. I added a seond later over half the pack to cover the hole. All packed away and looking a bit less messy. I'm think about using this stuff for my 2 kWh Laptop Powerwall project.